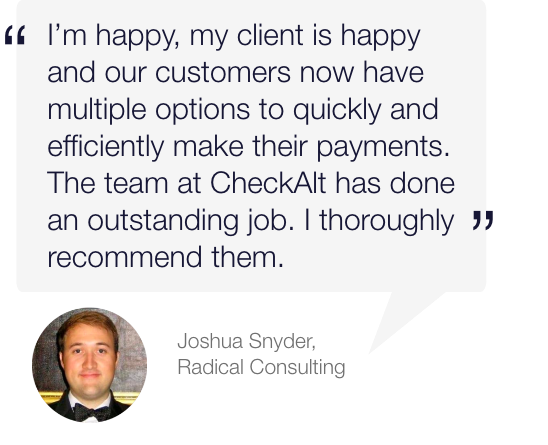 CheckAlt today announced a renewal with Grow Financial FCU to provide automated item processing for all of the credit union’s ATM check deposit transactions. Grow Financial FCU is an industry leading credit union with $2.2 billion in assets and operates 27 stores across the Tampa Bay, FL and South Carolina regions with additional services being offered in Georgia, Alabama and Tennessee. CheckAlt’s ATM services include deposit automation, which works directly with image-enabled ATM’s to efficiently process captured check images and data for deposit. CheckAlt also provides advanced ATM reconciliation services for banks and credit unions, which enables them to settle their ATM terminals faster and identify missing deposits and transactions that were processed on a different date or removed from clearing. CheckAlt offers best of breed Check 21 solutions nationwide. These solutions include consolidated item processing, lockbox processing and white label solutions, such as CheckAlt Remit, LoanPay and Mobile Business Capture. CheckAlt has recently acquired Klik Technologies and now has a total of 300 employees, over 600 clients, 9 offices nationwide. CheckAlt is headquartered in Miami, FL. For more information, visit http://www.checkalt.com. With 27 stores, Grow Financial Federal Credit Union is recognized as one of the leading Credit Unions in the nation, and has $2.2 billion in assets. Originally founded to provide a safe place to save and borrow money for the military and civilian personnel of MacDill Air Force Base, Grow Financial has since expanded membership to include employees of more than 1,100 businesses. Established in 1955, Grow Financial has its corporate headquarters in Tampa, Florida. For more information, visit http://www.growfinancial.org.